MoD certification and both original signatures appear below the print. 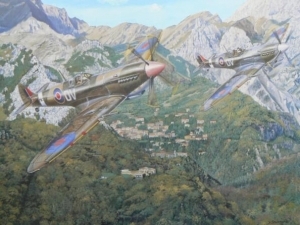 two MK IX Spitfires of No. 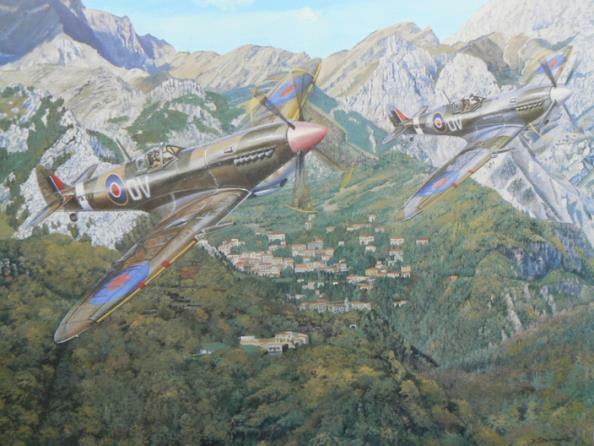 237 (Rhodesia) Squadron RAF flying over Tuscany, Italy. F/O I. D. Smith was flying MK227 on strafing missions just prior to being shot down over Northern Italy.